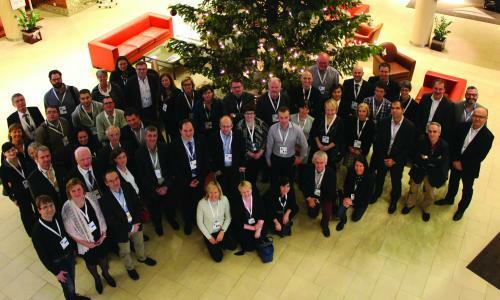 In December 2014 the European Crohn’s and Colitis Organisation (ECCO) organised a meeting with IBD Patient Association Representatives and ECCO National Representatives (both nurses and physicians) with the aim to improve patient care and the quality of life for patients with inflammatory bowel disease (IBD). Patients, physicians and nurses were assembled in focus groups and reviewed topics which are of high relevance to patients. The overall outcome of this meeting was that there was an imminent need for patient guidelines. These patient guidelines will help patients to understand the latest clinical research and to provide them with valuable information on their disease. (EFCCA) in order to develop the ECCO-EFCCA Patient Guidelines. Two taskforces, one focusing on Crohn’s Disease and the other one on Ulcerative Colitis, were formed. Taskforces consist of patients, physicians and nurses from different European countries. The working groups are responsible for selecting statements from the existing ECCO Clinical Guidelines which are most relevant to patients and for translating these statements into patient friendly language. The Patient Guidelines have been launched during a press conference on March 16, 2016 preceding the ECCO Congress and have been widely disseminated on the ECCO and EFCCA Website, newsletters and other social media channels. We are now in discussion with ECCO on how to proceed with the translation of these guidelines in order to ensure accuracy and quality of the translation. As has been done with the version in English we will ensure the active involvement of patients, physicians and nurses in this process. The highly anticipated ECCO-EFCCA Patient Guidelines have been presented at a Press conference on March 16, 2016 at the RAI Amsterdam Congress Center, preceeding the 11th ECCO Congress.